Our Mutoh Eco Ultra Compatible inks have been designed to meet the highest standard of quality, offering a complete match to the original OEM ink color and performance of your Mutoh printer. Mutoh printers have a strong reputation in specialty markets, and Mutoh inks are known to deliver superior quality prints. We guarantee that our alternative Mutoh VJ inks are equally reliable, offering top notch quality prints every time. You won't find a better deal on quality Mutoh compatible ink anywhere! 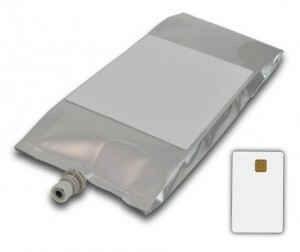 Our 1-liter Mutoh Valuejet ink bags have been packaged on our propietary degassing machine which ensures a complete removal of all dissolved gasses from the ink. This ensures a very stable ink performance, free of nozzle outages, banding or color shifts. 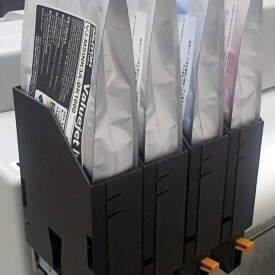 You can plug our ink bags in place of OEM and continue printing with exactly the same quality output.